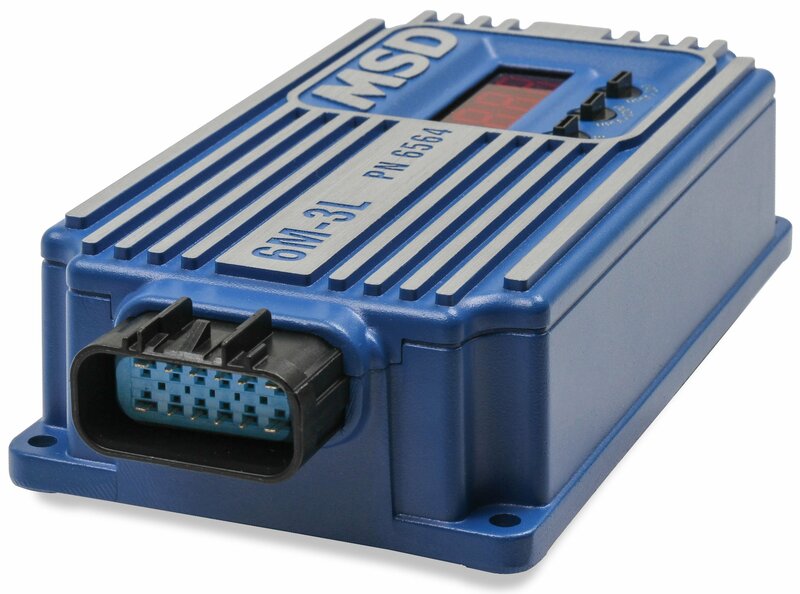 MSD's 6M-3L MSD Marine Ignition is a fully sealed unit with a single wiring connector for a fast, hassle-free installation. Three rotary dials and an LED display simplify setting the cylinder select, adjustable start retard, and rev-limiter and make plug-in rev-limiter chips and hard-to-read dials a thing of the past. 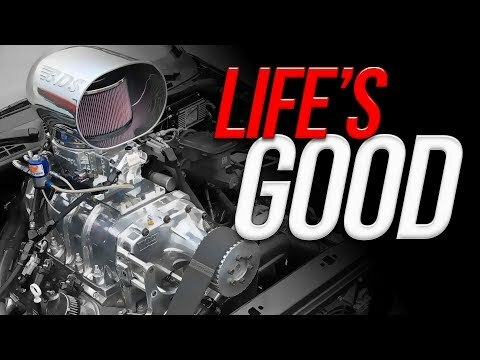 Compatible with 4-, 6-, and 8-cylinder engines, this capacitive-discharge ignition multi-sparks from 0 to 3,000 RPM for a clean idle and quick throttle response, and capacitive-discharge sparks run from 3,000 RPM all the way up to 12,000 RPM. 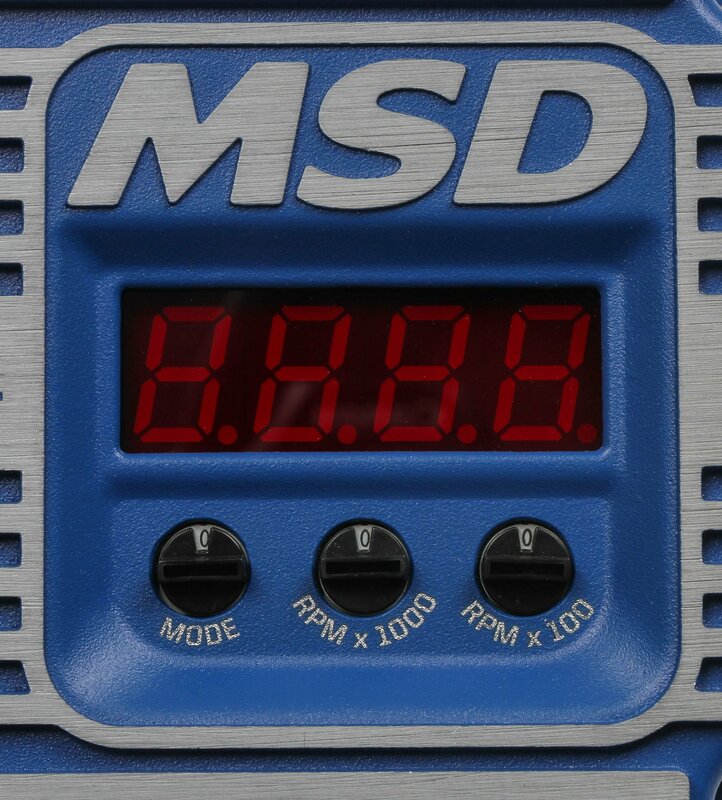 A large, easy-to-read LED display shows the rev limit, highest RPM turned, cylinder select, start retard, and battery voltage, and it can be set to a live-tach mode on V8s with just the turn of a knob. 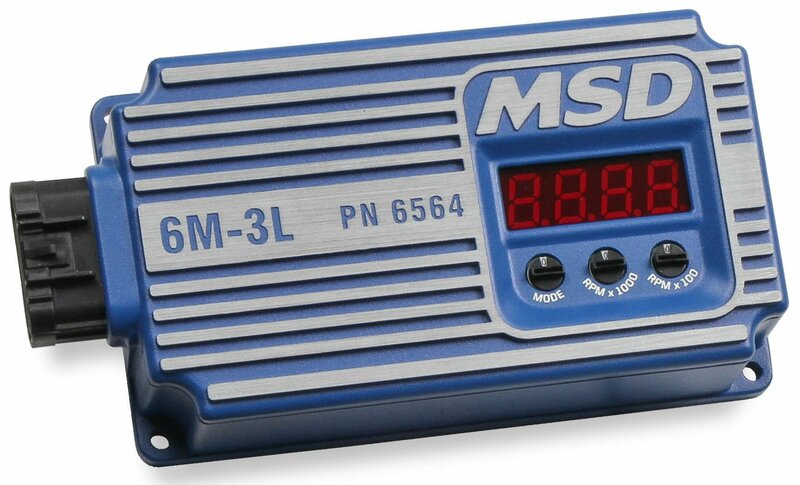 The 6M-3L MSD Marine Ignition can be triggered by magnetic pickup, amplifier, and points inputs and records the highest RPM the engine has revved for the past 20 minutes of run time. It delivers spark energy down to 6 volts of battery supply, features a fully potted housing to withstand demanding marine conditions, and the built-in start retard is adjustable in 0-, 10-, or 20-degree increments. See detailed product information for the 6M-3L Marine Ignition. 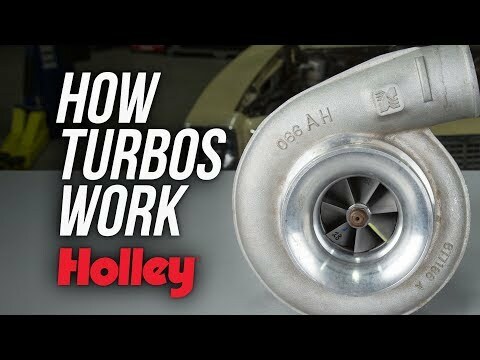 Hoonigan's Scopes Out Tyler Powell's LS7 powered, MSD & Holley equipped Fairlady 240 Z06!